Was kinda dumb- are these A. tesselata or B. cranifer? Edit: I guess I don't have much of a way to tell them apart. I've put the adult female of each species in their own little enclosures, set inside the main enclosure to keep the temp stable. An inch of coco fiber, some oak leaves to chew and hide under, all inside half a plastic gallon jug. They can't escape, and any babies they have will be contained, but they have space and food and shelter. When I start having multiple ones mature, I'll set up separate enclosures to put the adults into. For now, I guess I just have a bin of assorted nymphs. Awhile ago, I saw that my local pet store had some death's head roaches. I went "sweet! I like those" and got a couple, and put them in my peppered roach enclosure. I didn't think they'd bother each other or anything. I forgot about how similar the nymphs are. Now I have no clue how many I have of either species. And I assume it's pointless trying to tell on these. 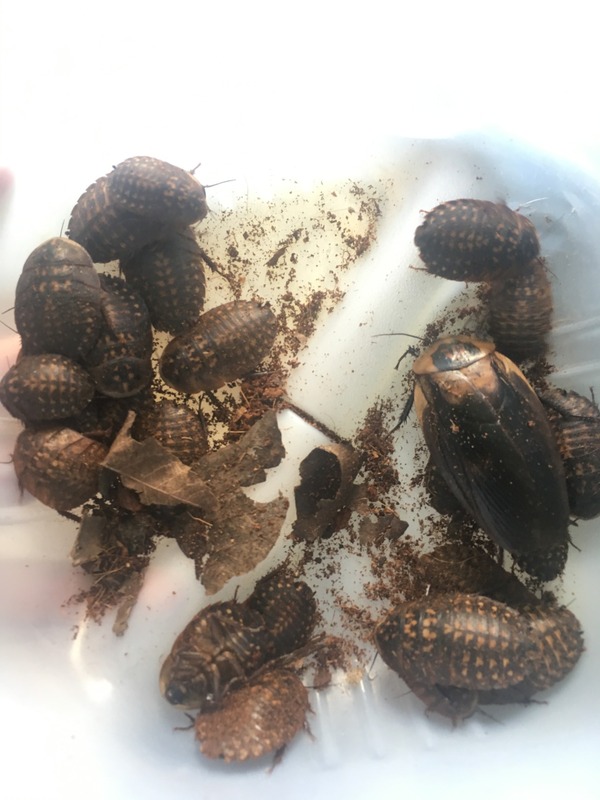 Oh, and my cats would like to make it known that the sound of roughly 25 large cockroach nymphs scrambling around in half of a gallon jug is very interesting. I had to stop them from putting their little kitty feet in there and poking the roaches. I knew they couldn't hybridize, I just forgot how similar they were going to look as babies. Is either species capable of giving birth with no male present? I have an adult female of each species, but no males. Those little ones are clearly a pretty fresh batch, so is it just one species that can retain sperm, or both? And another question: I know that mixed-species enclosures usually end up with one species outcompeting the other. That's going to take awhile, though, right? They're in an enclosure that's about 4 square feet, and I've had no trouble keeping them all fed thus far. 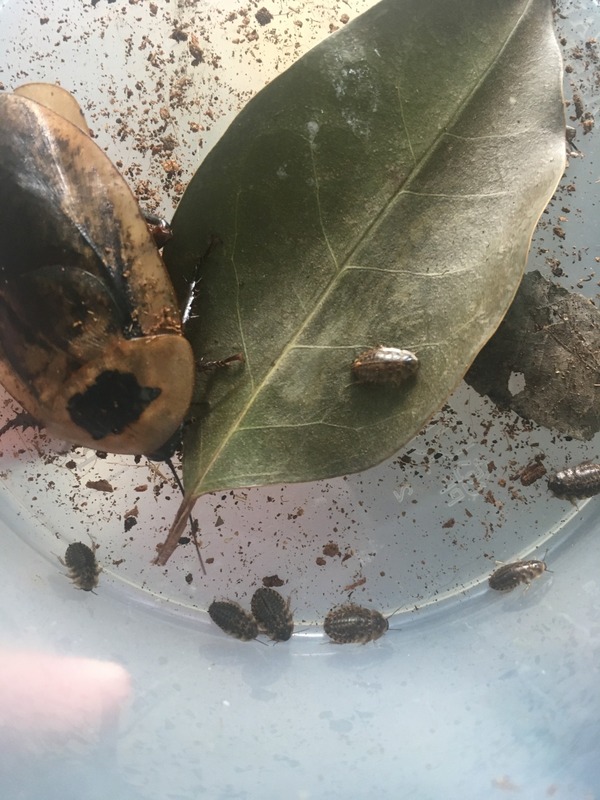 Is there any reason I shouldn't just put them back together for awhile, and start pulling out individual adults when they show up? Right, I should have clarified- I USED to have males, so I'm wondering if these females can both still have babies. Clearly one of them did.